My daughter was looking at some doll beds in a catalog, you know, the one with the $350 car. So back to the garage for a little woodworking. I managed to get some good detail on the headboard and rails with a beading bit on the router. This is also the first time I used traditional mortise and tenon joinery; they just don’t make pocket screws small enough for a project like this. The post feet and caps were made on the 3d printer to save me some time. Before I had the printer I probably would have bought or made a small lathe to turn out the small parts. 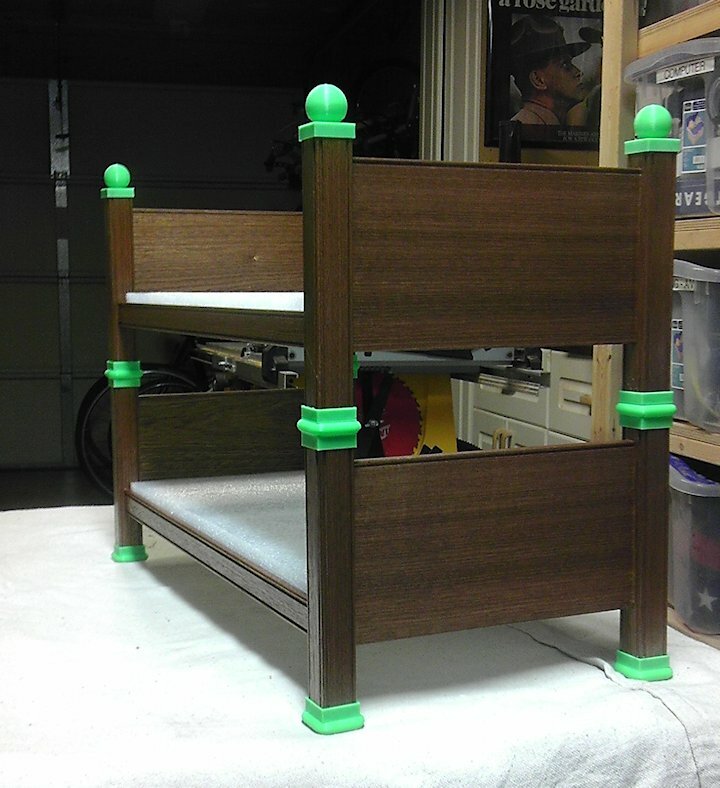 Worked out great, I printed extra parts so she can split the beds into two singles. 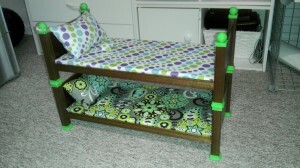 We spent some time with a Singer hand-held sewing machine and some fabric to make a couple mattress covers and pillows. YouTube showed us how to close up the pillows so that the thread didn’t show at the seams. Baby girl is happy, daddy’s happy.